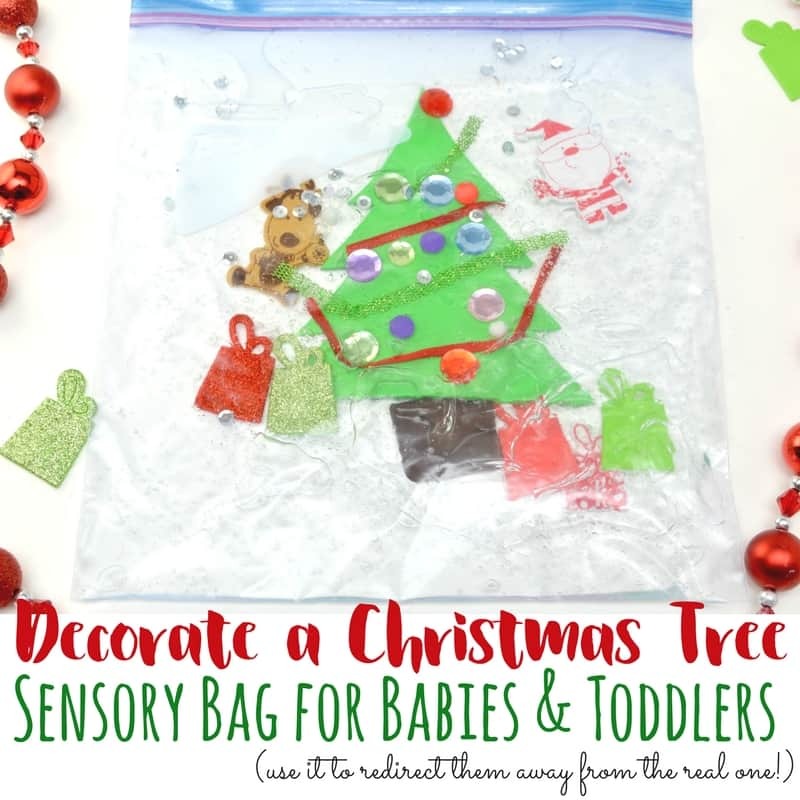 Sensory bags are excellent learning tools for even young babies in addition to older children as well. 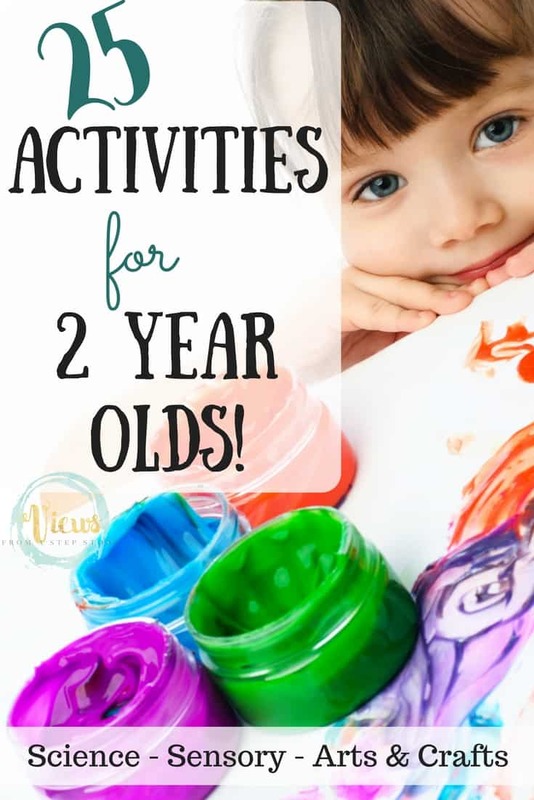 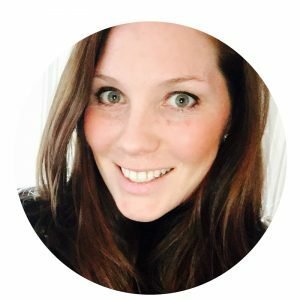 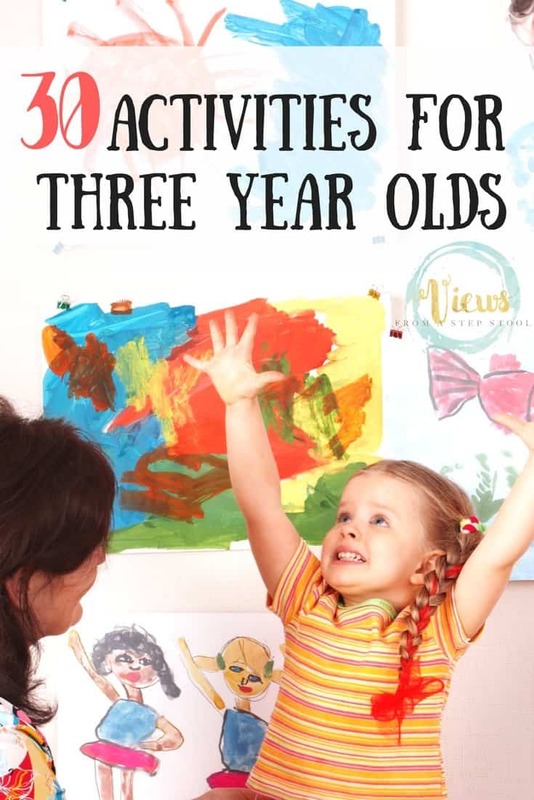 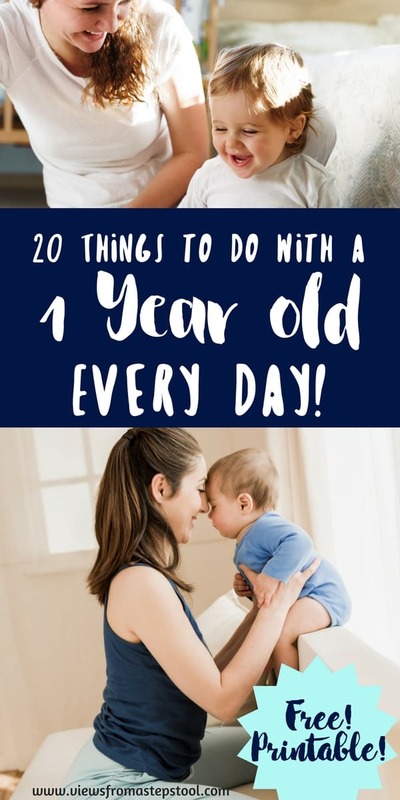 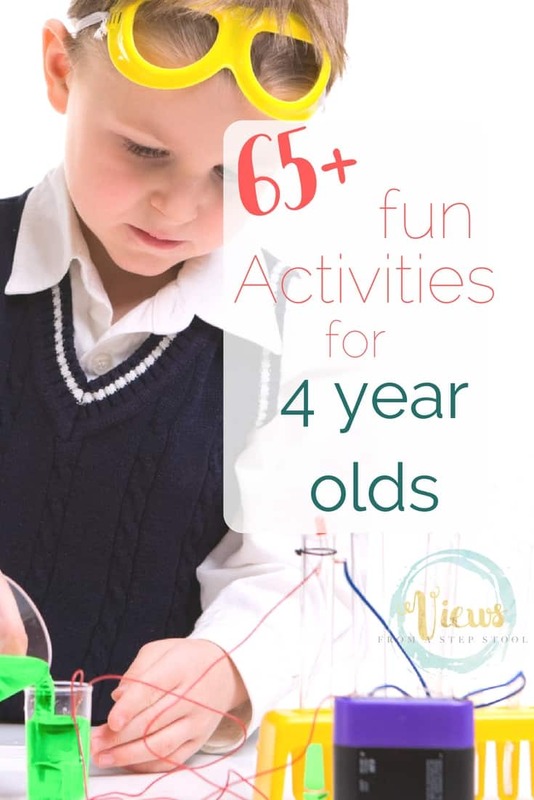 This makes them perfect for families with a mix of ages, like ours! 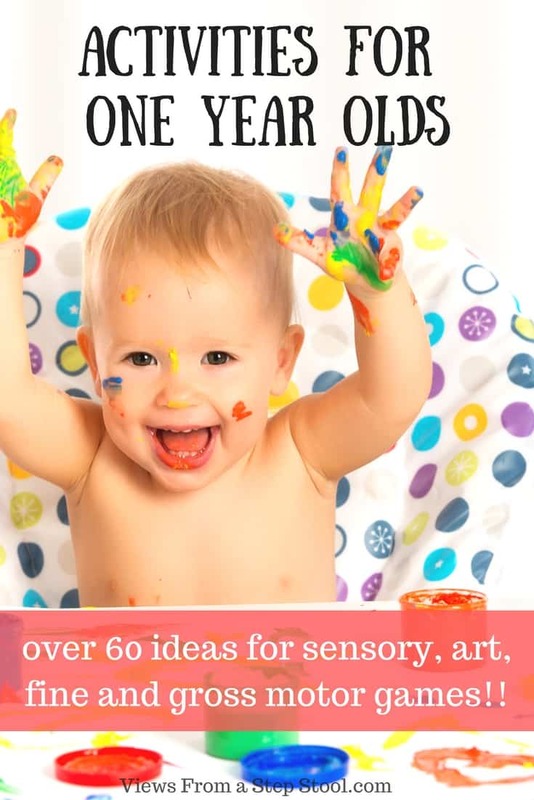 Engaging the senses is one of the best ways to process and remember information. 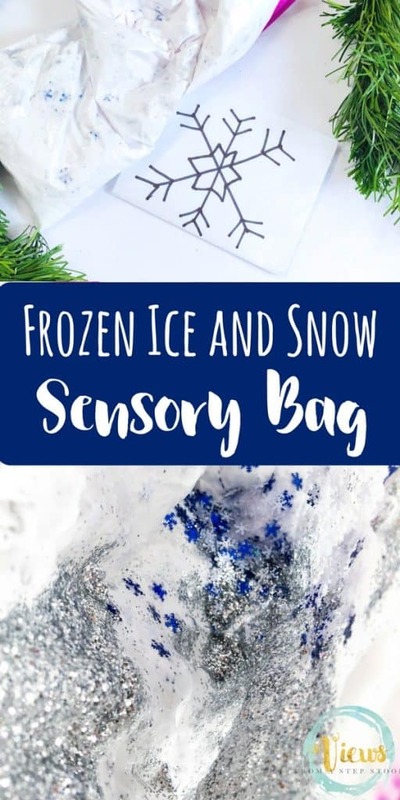 This Winter sensory bag mixes temperature with texture in a snowy scene perfect for the season! 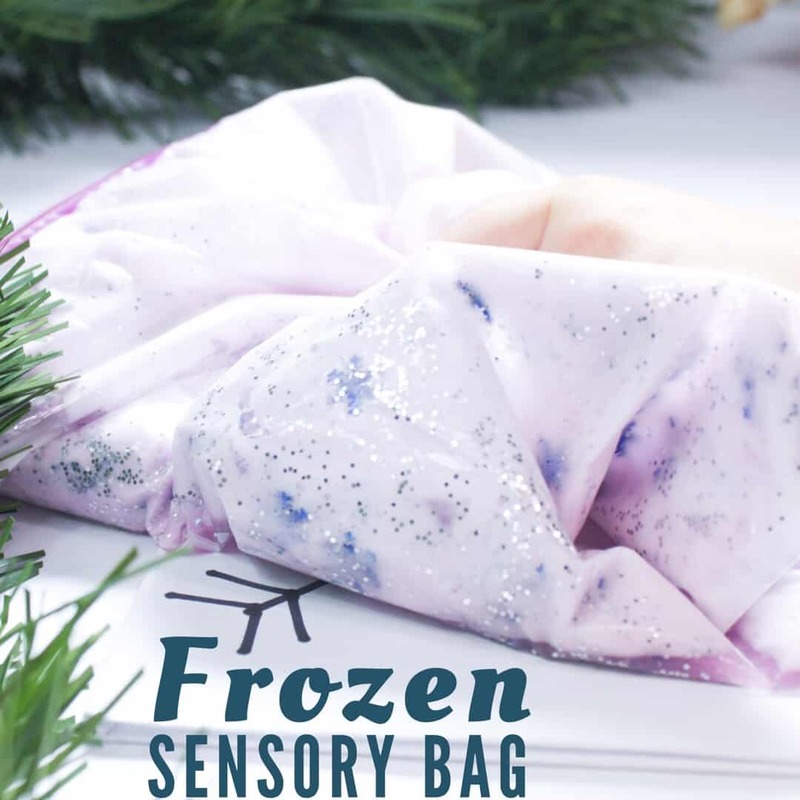 This winter sensory bag combines temperature with a fluffy texture that delights the senses! 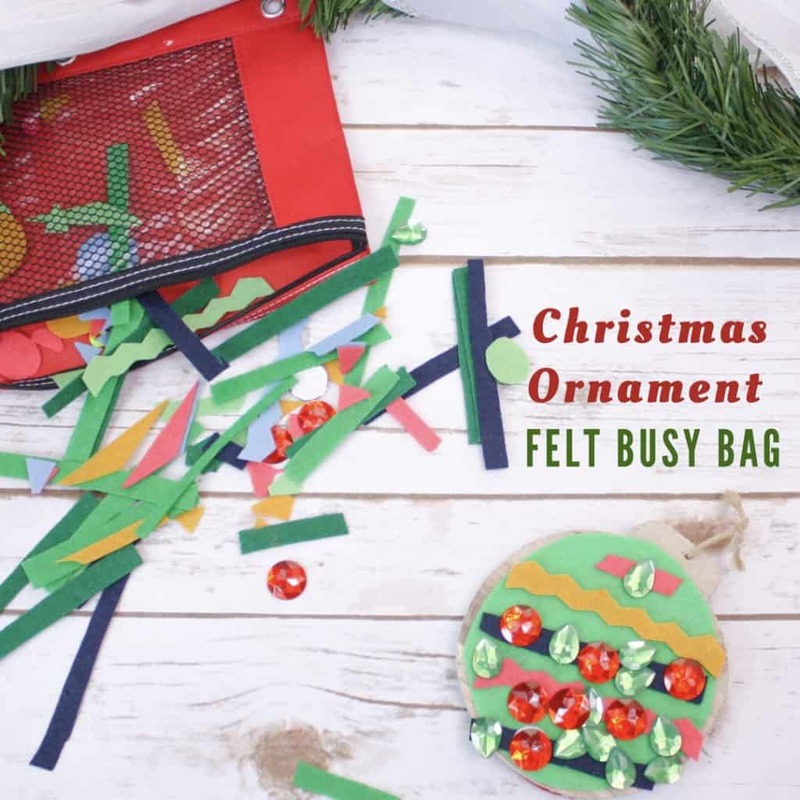 My 2 and 4 year olds both loved squishing and squeezing in this one. 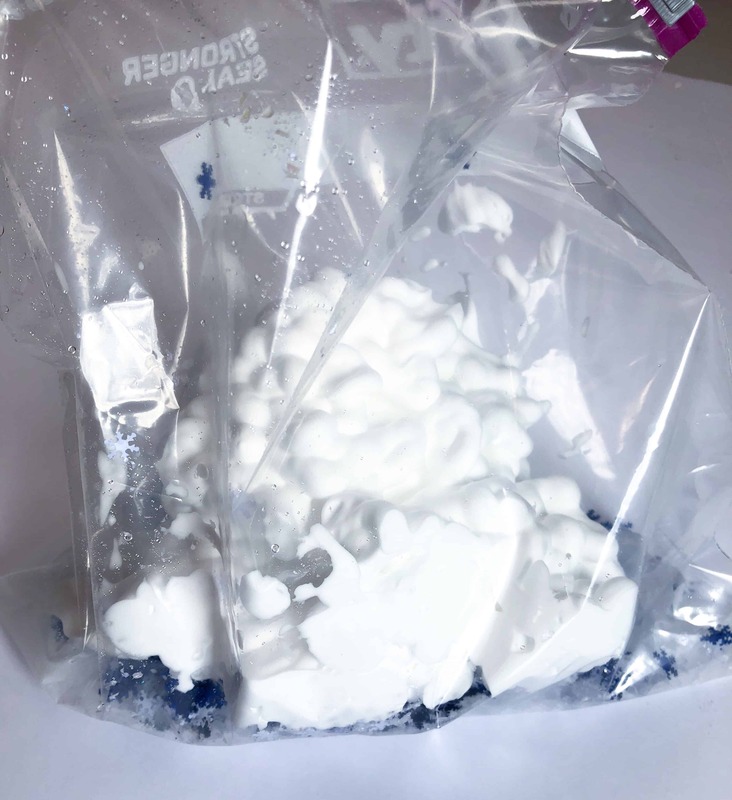 Fill the ziplock bag halfway with shaving cream. 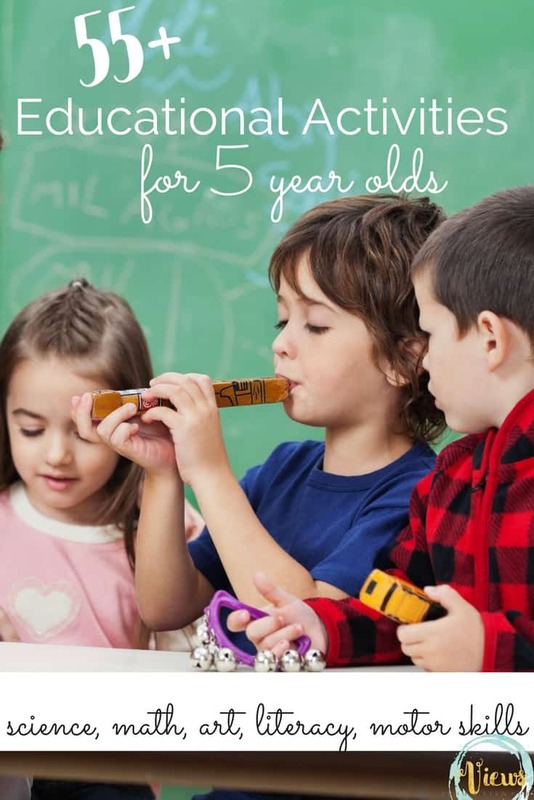 Add some ice cubes to the shaving cream. 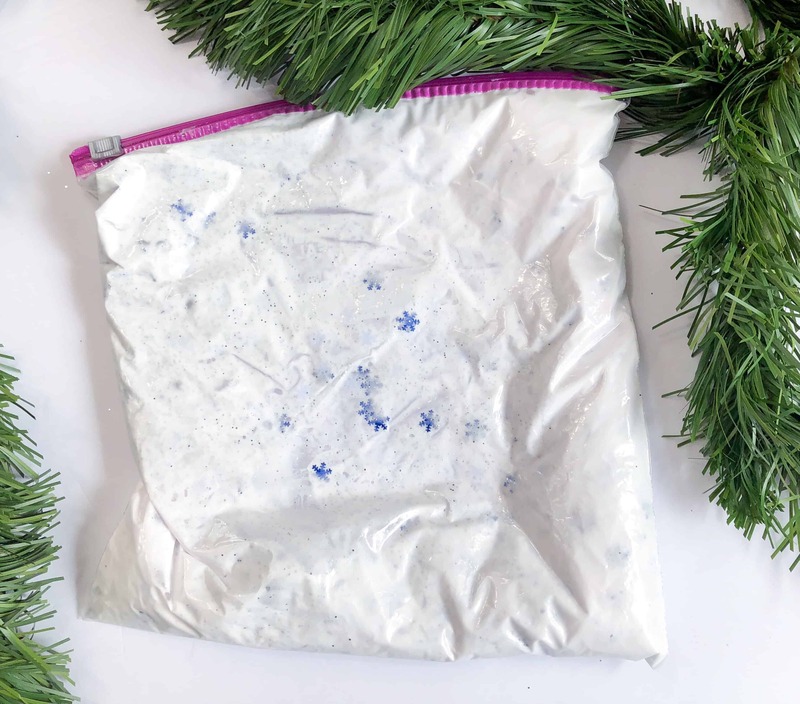 To the bag add some silver glitter and snowflake confetti. 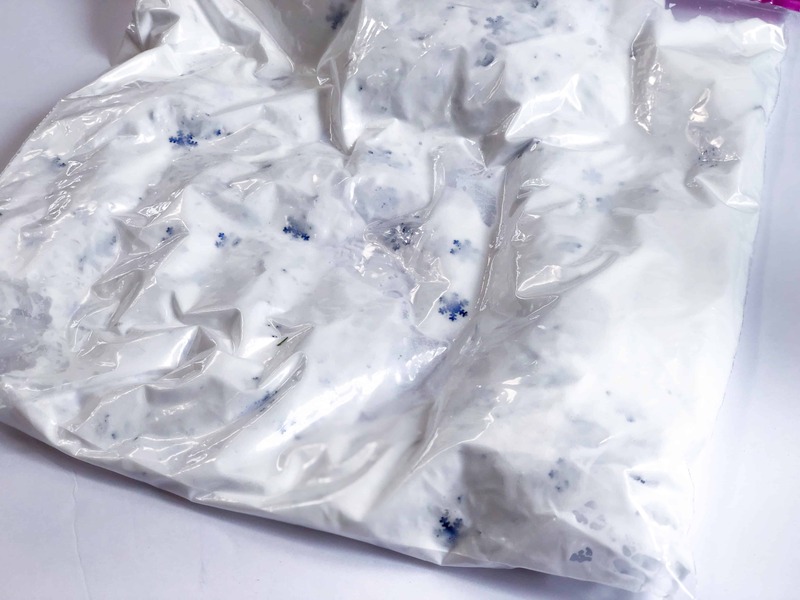 Squeeze as much of the air out of the bag as possible and seal. 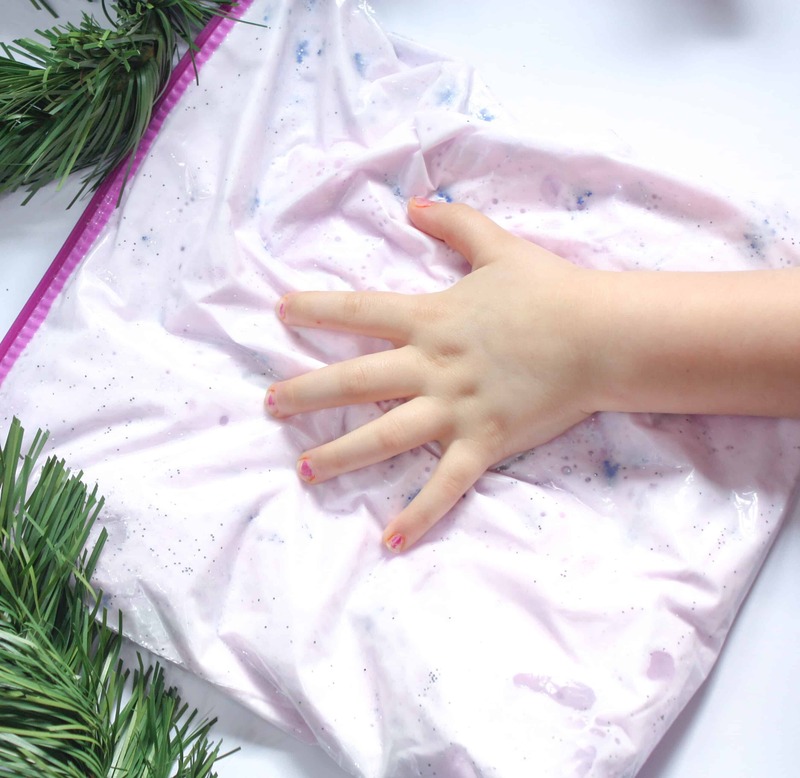 Add duct tape or packaging tape to the seal so that the bag doesn’t leak, especially if using with toddlers. 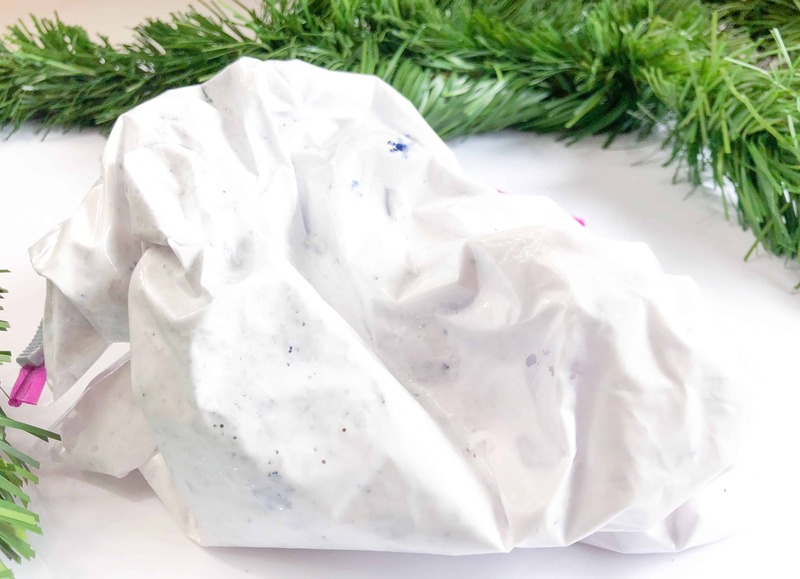 Allow the children to squeeze the bag, feeling the ice cubes through the squishy shaving cream. 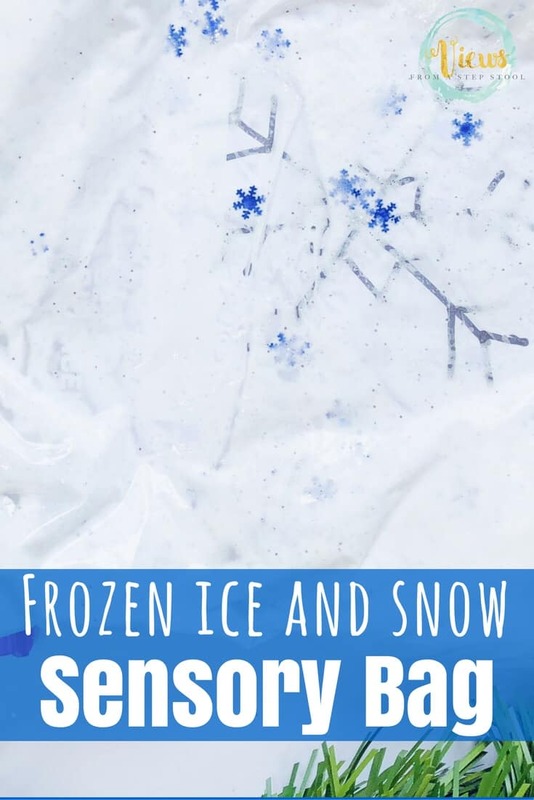 The cold of the ice is quite the surprise to little hands! 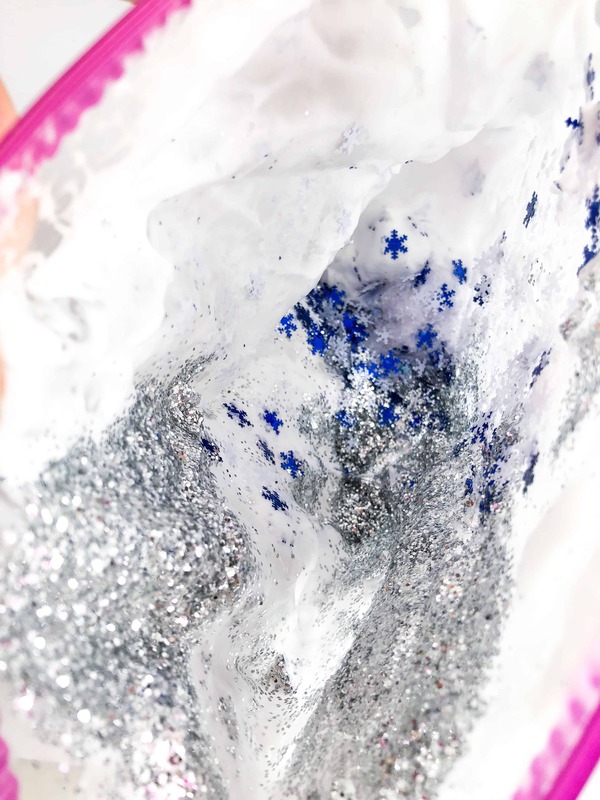 The glitter and confetti add a nice sparkly touch to the Winter sensory bag. 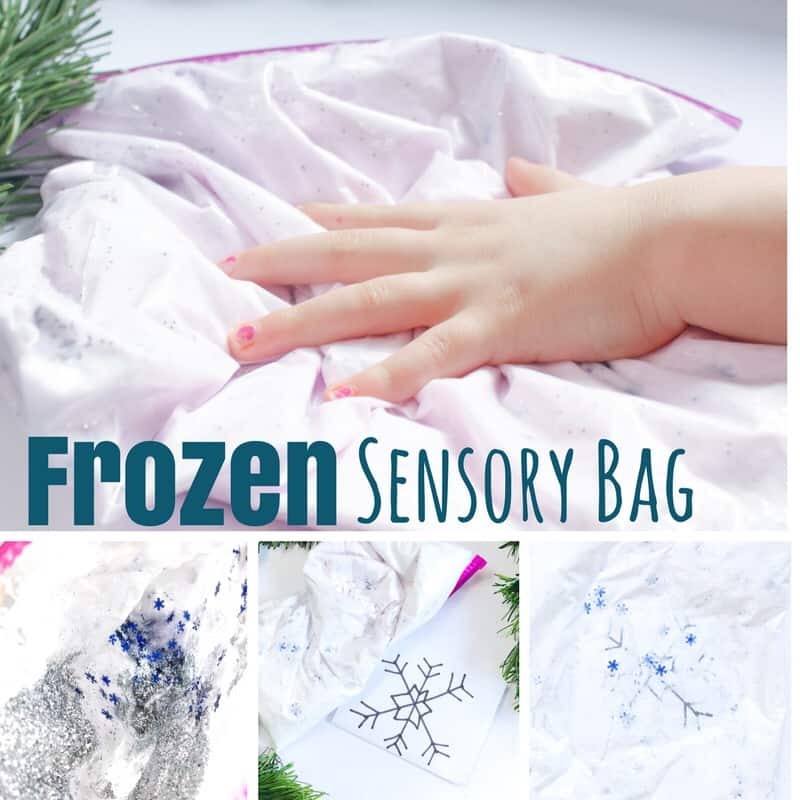 Bigger kids (preschool aged) can use this sensory bag for pre-handwriting practice! 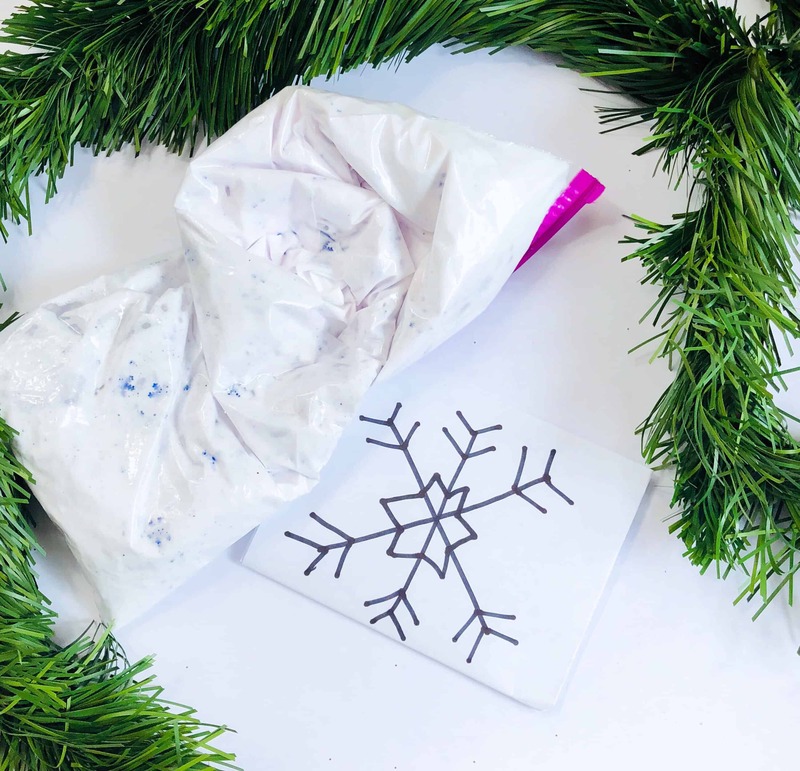 Place a snowflake drawn on paper behind the bag. 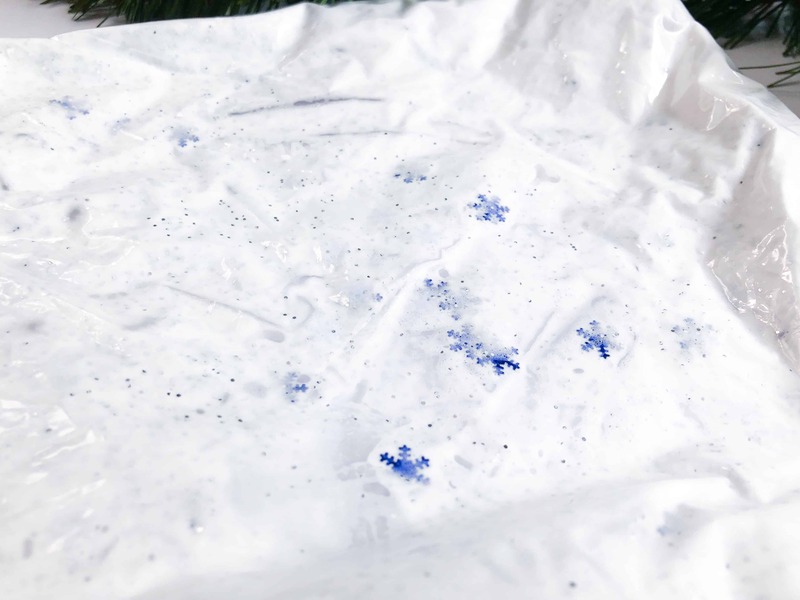 Kids can use their fingers to flatten out the bag and trace the snowflake shape through the bag. 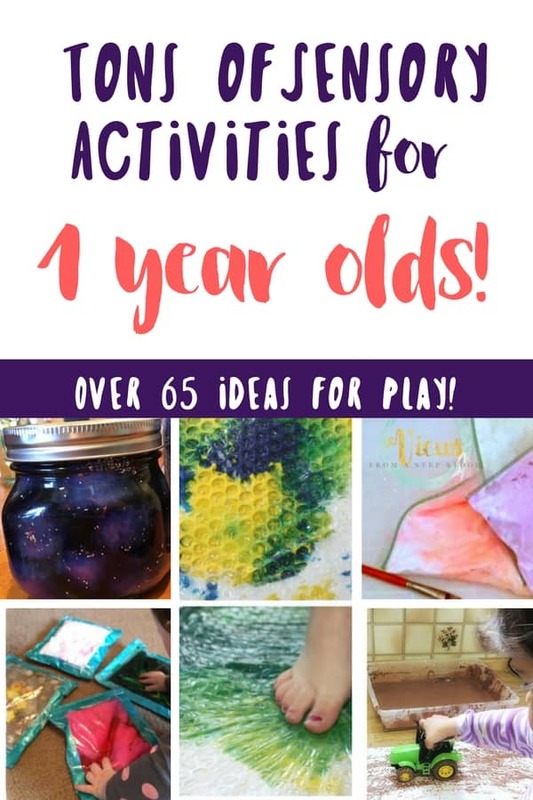 Try some letters or numbers next! 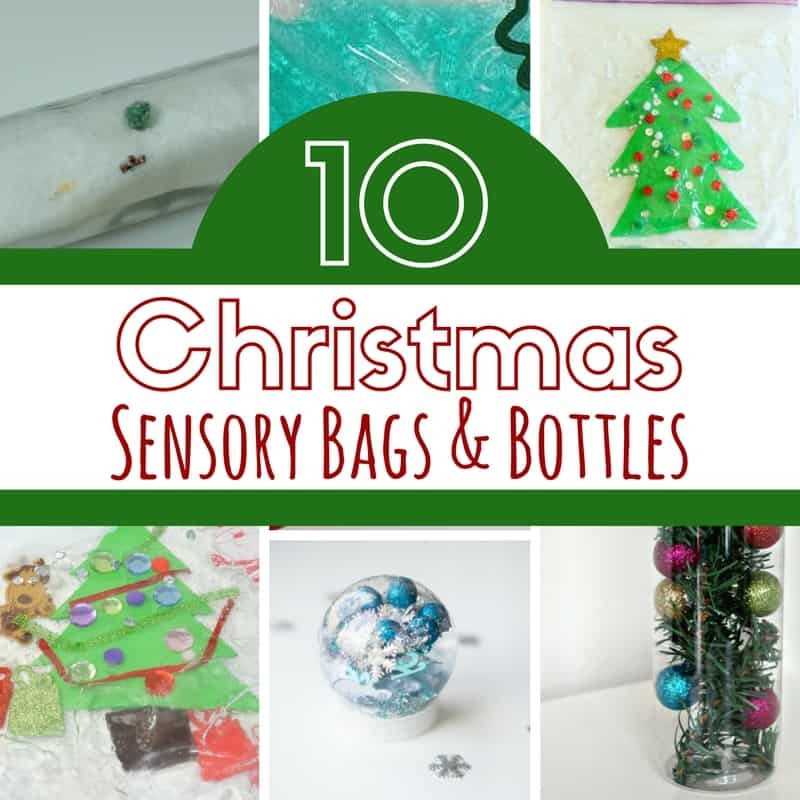 Have so much fun playing with this Winter sensory bag!